The Washington County FFA Chapter competed in the NC District Parliamentary Procedure/Leadership School competition on November 6th in Salina. The Leadership School consists of performing the Opening and Closing FFA Ceremonies used for meetings and conferences as well as conducting a 10 minute Parliamentary Procedure Demonstration in front of a panel of judges. Students must know the proper procedures that it takes to correctly demonstrate the motions and use methods for persuasive debating. Also, each team must have a chairperson trained to properly presiding over the meeting using Robert’s Rules of Order techniques. The event is designed to enhance public speaking and communication skills as students are evaluated on their presentation style as well as their ability to logically debate topics chosen at random. The Greenhand Team, consisting of Kobe Hoover, Jack Gilliam, Shailyn Zenger, Camryn Boykin, Addison Mann and Alyssa Kern finished as the first place team in the overall Greenhand Division and swept top honors for both Opening/Closing Ceremonies as well as Parliamentary Procedure. Individual honors also went to two members, as Gilliam was named as the overall President and Zenger was named as the overall Treasurer in the Greenhand Division. 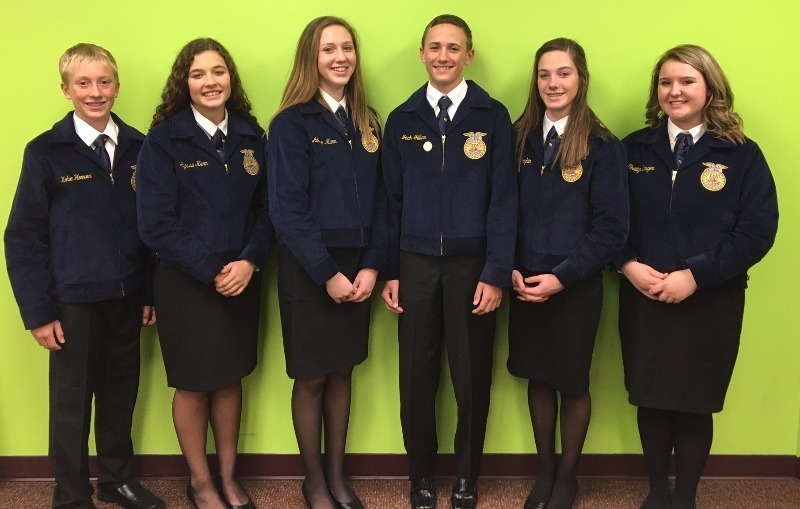 The team has now qualified to represent the North Central District at the State FFA Novice Parliamentary Procedure Competition in May. The Senior Division Team, consisting of Scuyler Zenger, Laramie Moyer, Lauren Simmons, Tyler Simmons, Luke Gauby, Connor Linenberger and Tray Zabokrtsky finished as the 3rd Place Team Overall in the NC District Parliamentary Procedure CDE and 3rd in the Overall Leadership School. The team also finished just six points out of first place in the Opening/Closing Ceremonies Portion of the Event.